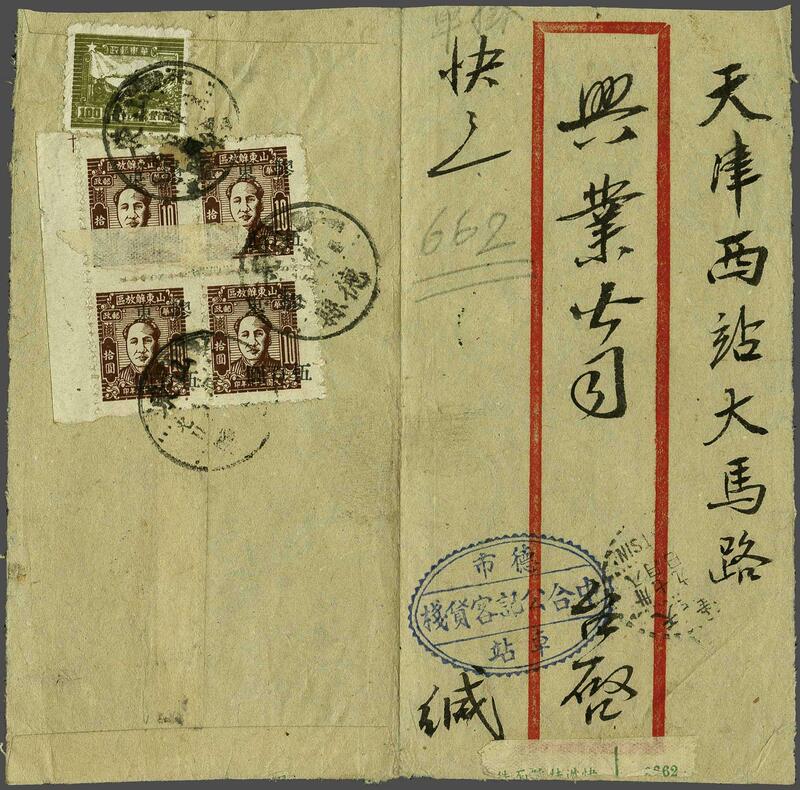 Communist East China 1949: Special delivery cover from Shantung to Tientsin franked by 1949 Locomotive $ 100 olive-green and 1947 $ 100 on Mao Tse-ting $ 10 red-brown in a sheet marginal block of four tied by Shantung (July 7) datestamps. Reverse with Tientsin arrival cds. The block with part of the Special Delivery label on face, otherwise a fine and rare cover.